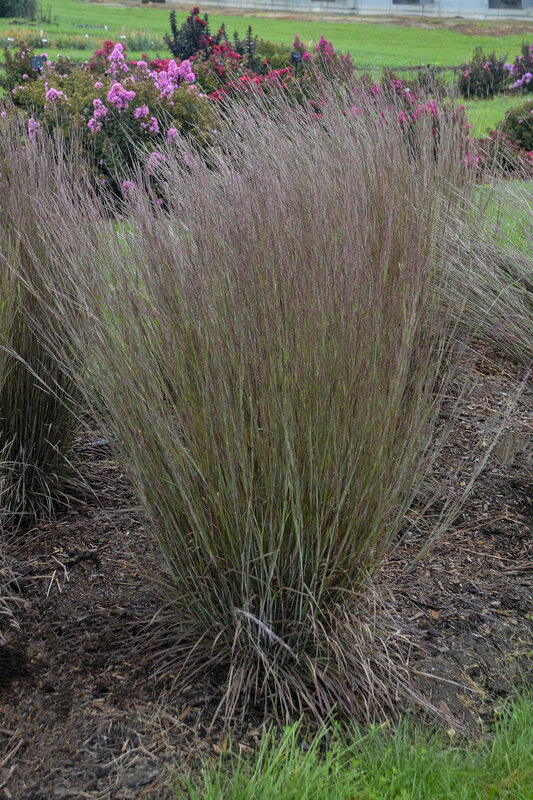 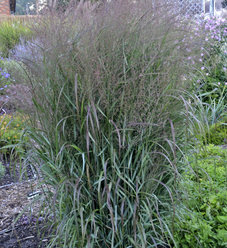 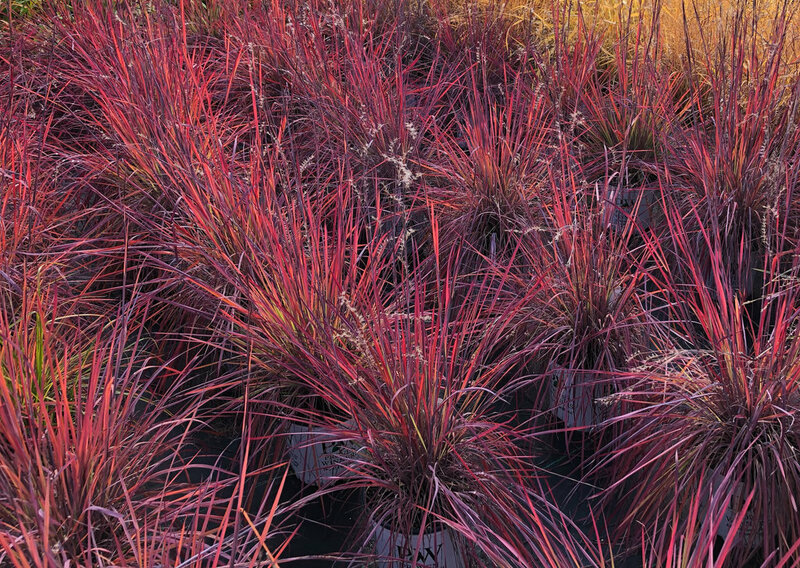 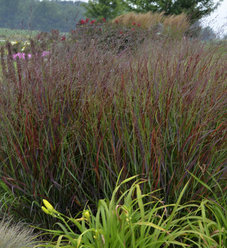 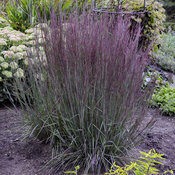 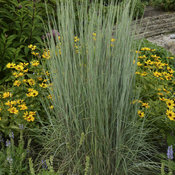 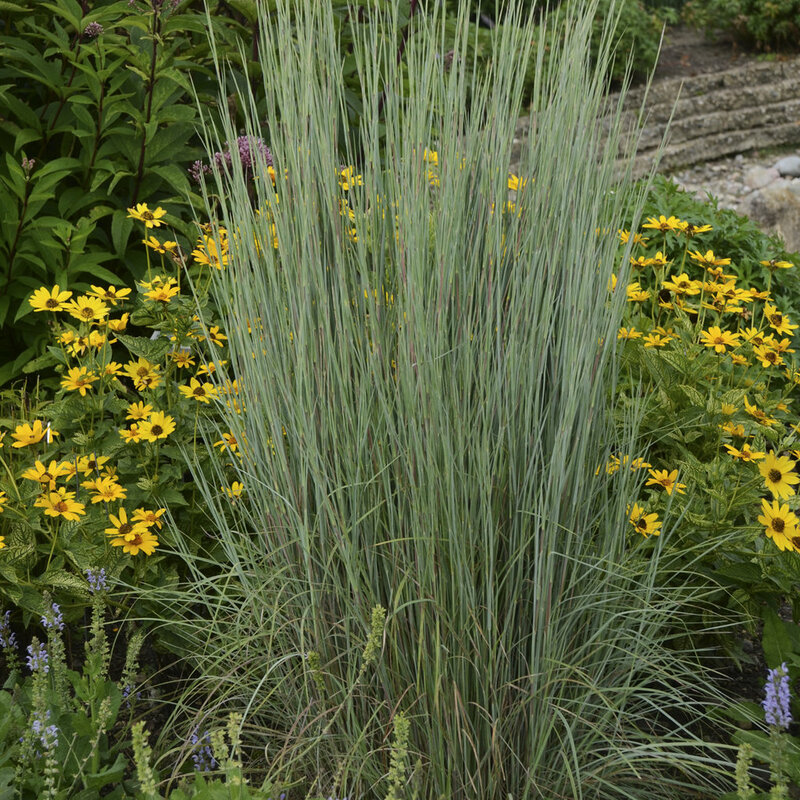 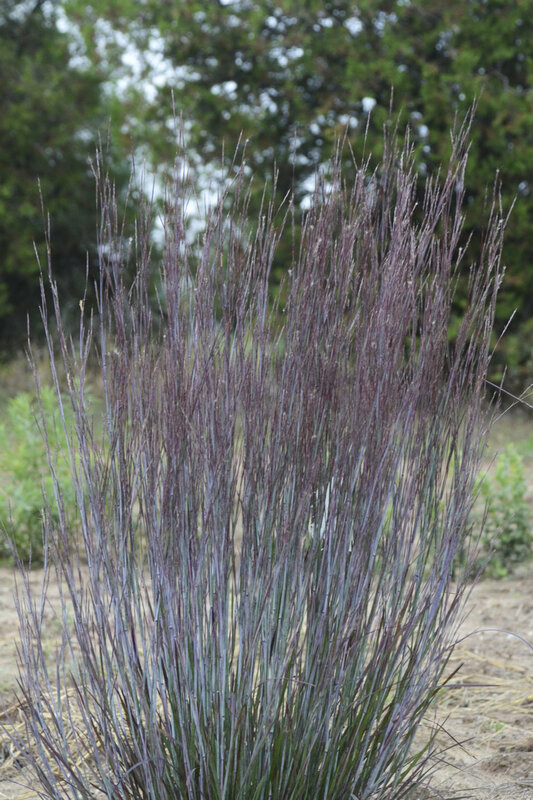 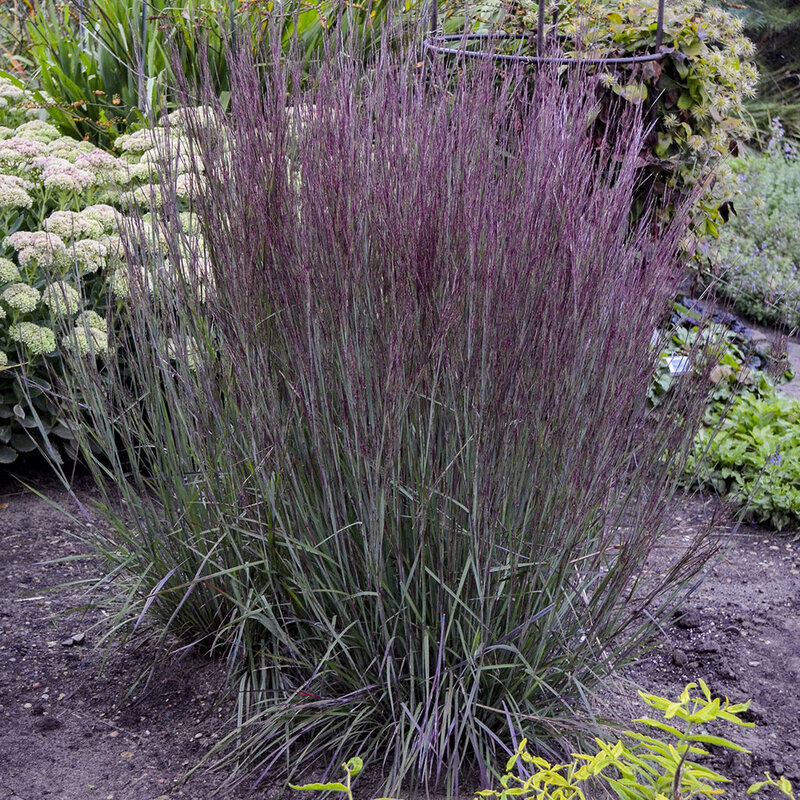 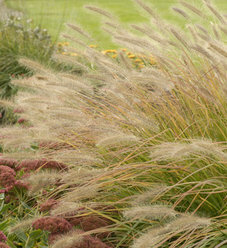 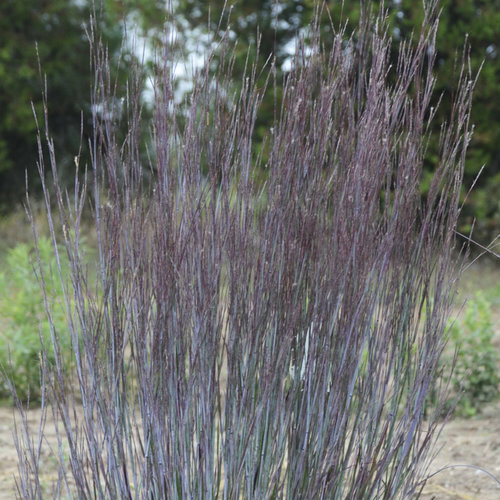 An upright ornamental grass that withstands adverse weather conditions. 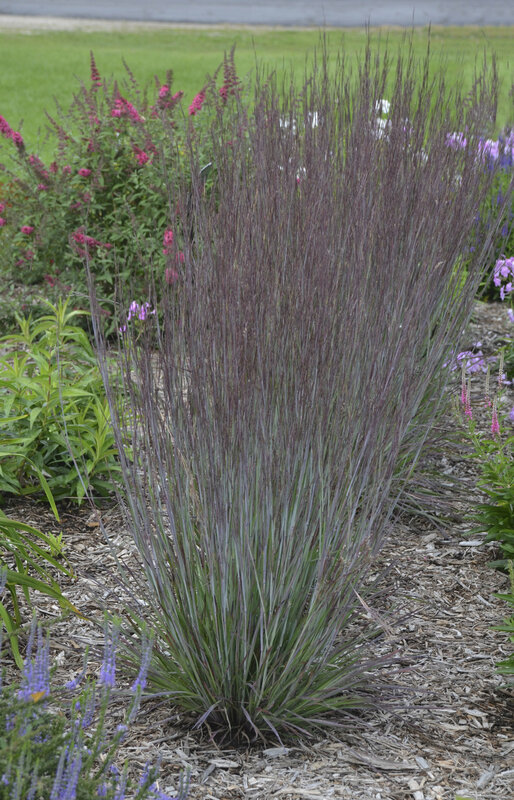 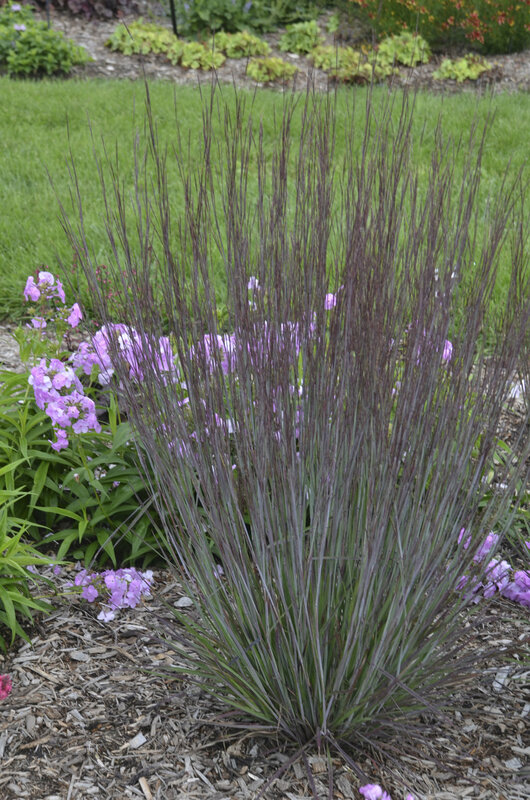 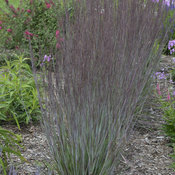 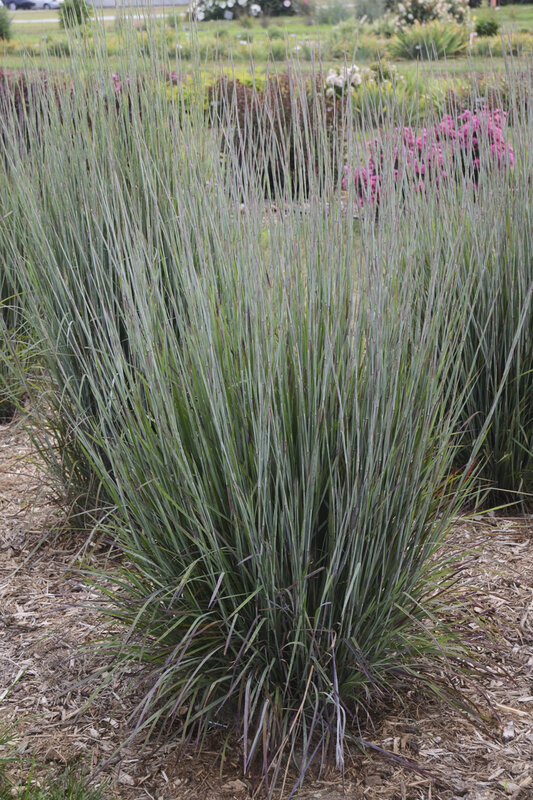 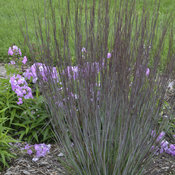 In summer, striking silvery blue stems form a columnar habit. 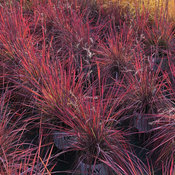 Deep wine purple fall color. 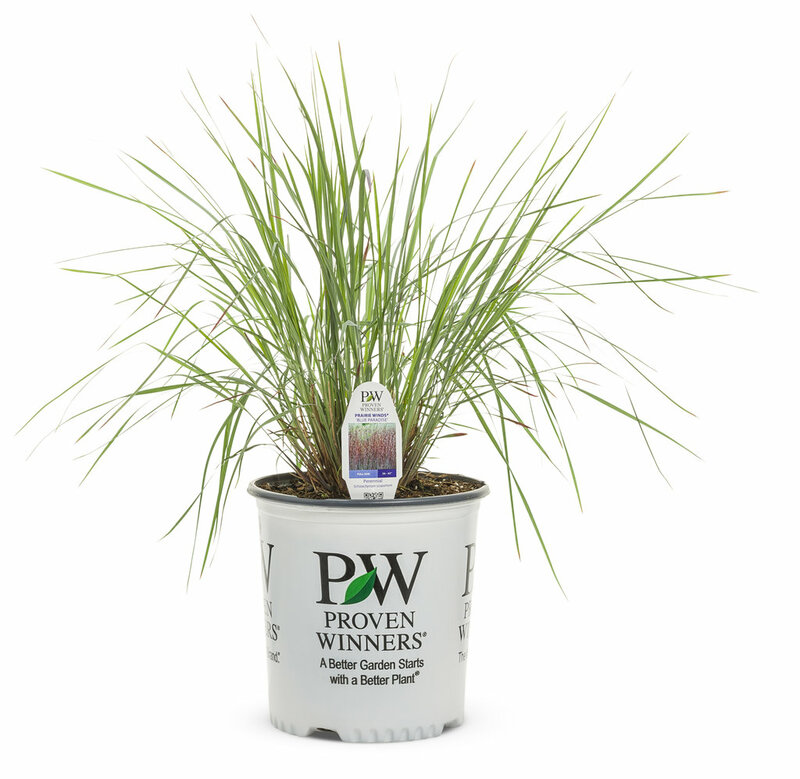 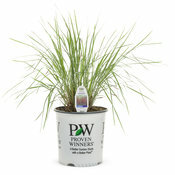 This easy-to-grow grass does best in full sun and dry to average, well-drained soil. 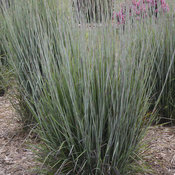 Tolerates heat and humidity well. 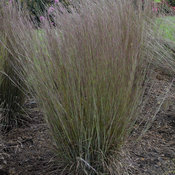 Cut back in early winter.